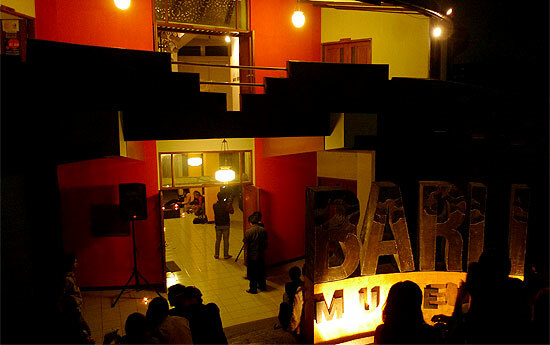 Museum Barli is an art gallery founded with the idea of ​​giving people awareness of the importance of appreciating art, especially painting. This gallery space is open to artists who want to showcase their work to be enjoyed in a special way. The museum was inaugurated by the Minister of Tourism Post and Telecommunications (MENPARPOSTEL) dated October 26, 1992. The paintings exhibited in this gallery space are mostly paintings by Barli Sasmitawinata and the work of his son Agung Wiwekakaputera. Barli Sasmitawinata was born in Bandung, March 18, 1921-8, February 2007. He is an Indonesian realist painter who began to pursue painting around the 1930s and became a member of "Group Five" consisting of Affandi, Hendra Gunawan, Sudarso, and Wahdi. He began studying painting in Jos Pluimentz's studio, a Belgian painter living in Bandung. There, he learned to paint nature and things. He is also known as a person who emphasizes the importance of art education. In 1948 with Karnedi and Sartono, he founded the Mukti Soul studio. After completing his education abroad he founded Sanggar Rangga Gempol in Dago, Bandung, in 1958. Barli's works have been exhibited at home and abroad. In 2000 he was awarded Satyalancana Kebudayaan from the president. His name was then used as the name of this museum. This is because in particular this museum dedicates its existence to save and preserve the works of Barli for the excavation of the art of history and the sign of Barli's existence in the art world. Nevertheless, the museum is open to the public and is often used for art activities such as art exhibitions by Bandung artists and around, the sale of works, discussions, art encounters with various themes, ceramic studio and painting training, and others . For those interested in visiting this museum, can come on Saturday to Thursday, at 09:00 to 17:00 pm. While on Friday and Public Holidays are closed. 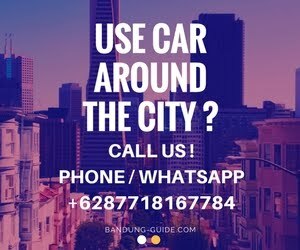 To reach the museum barli, if you use private car and come from jakarta then you have to exit through toll gate pasteur then turn left to Surya Sumantri street then spin along path and turn left to Dr. Sutami Street, after Hotel Zodiak, you will see the barli museum on your right.